If there's nothing wrong with me, maybe there's something wrong with the universe. This is it, denizens. This is my “head-over-heels, haven’t felt like this about a show since Voyager went off the air, OMG I can’t stop absorbing everything I can about it, I will drive you crazy if you let me because I also can’t stop thinking about it and if I’m not careful I’ll just start randomly talking about it like you know what the hell I was just thinking, absolutely don’t want to stop but trying really hard to contain myself so I don’t drive you away” crush. Even now, I’m reeling back everything that I would love to write about the show itself, because I need to focus on just reviewing this graphic novel. I’m letting you know, though, that if you encounter me elsewhere? Don’t ask. Because I will tell. I will tell you everything I think about this show. EVERYTHING. And it just keeps coming. You have been warned. Well then. 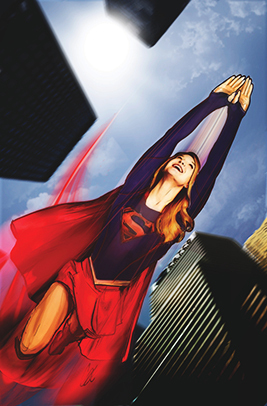 Now that we’ve got that out of the way, let’s get to the point: Adventures of Supergirl is the first volume to collect all the comics based on the Supergirl television series. 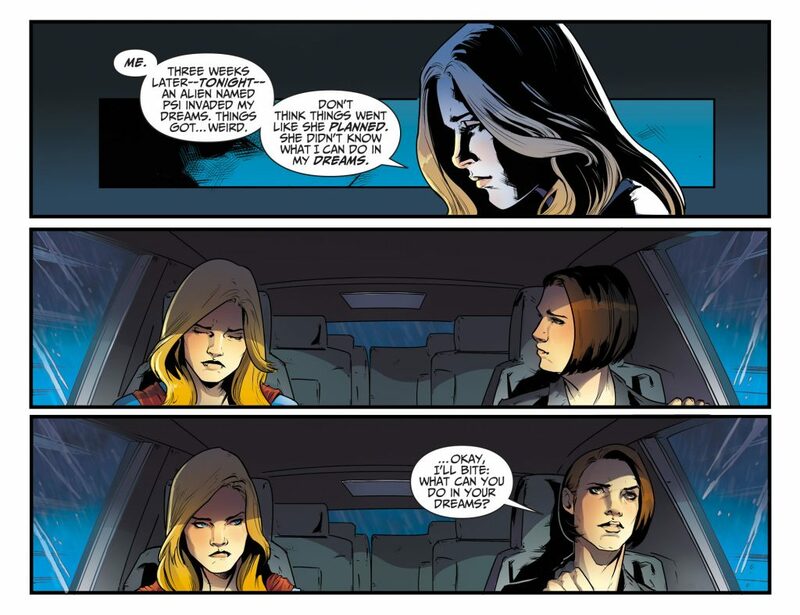 It’s important to make that clarification, because these comics have nothing to do with the regular DC Comics Supergirl run. They’re solely linked to the show. 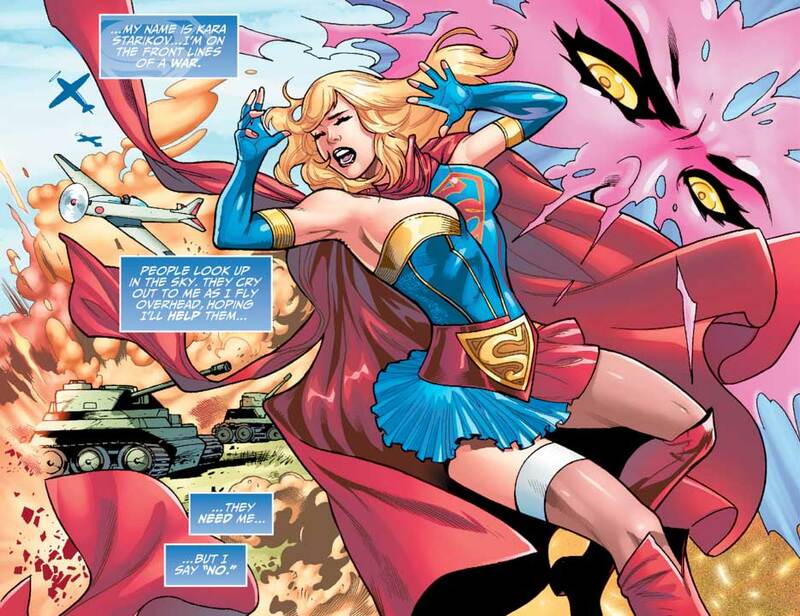 However, from what I’ve read recently, the Supergirl Rebirth story line that they’ve been doing for the comics does draw some elements from the show into Kara Zor-El’s new story (including going with the Supergirl costume from the show rather than that horrible costume they designed for the New 52 Supergirl, which honestly just gets a WTAF every single time I see it). It’s pretty much the primary reason that I’m finally interested in following the comics version of the character. For these comics, though, you don’t need to know anything more than what you’ve seen on the first season of the show, and even that is mostly character-dependent. The story itself doesn’t really have anything to do with any of the show’s plots, although it does pull in some tangential elements (but nothing that would cause problems if you didn’t know the show). Writer Sterling Gates does well in giving us a story arc that respects the essence of the show, with ample parts bubbly and cute mixing with the darker (though not too dark) and more serious moments. It’s definitely the sorbet to my last reviewed graphic novel, but enjoyable nonetheless. Interestingly, most of this collection’s artists chose not to make these characters look like their Hollywood counterparts. I know that a lot of times, the comics will make this choice as a way of distinguishing the character from the actor, allowing the character to exist in a manner that isn’t dependent on one person representing them (also, it might have something to do with needing to pay the actors for using their likenesses? I don’t know). I’ve seen them do it with the CSI comics and, to some degree, the Star Trek comics. I point it out in this instance, though, because of the next review I will be doing here at the lair. For that collection, it was critical that the artists drew that character according to how her Hollywood counterpart looked. Ooh, whatever could be my next review? Clearly, the marketing is on-point for the younger female audience who watches the show. It’s admittedly a little disappointing to someone who is used to bigger, bolder, stronger artwork, but even I can concede that it works for its focus. 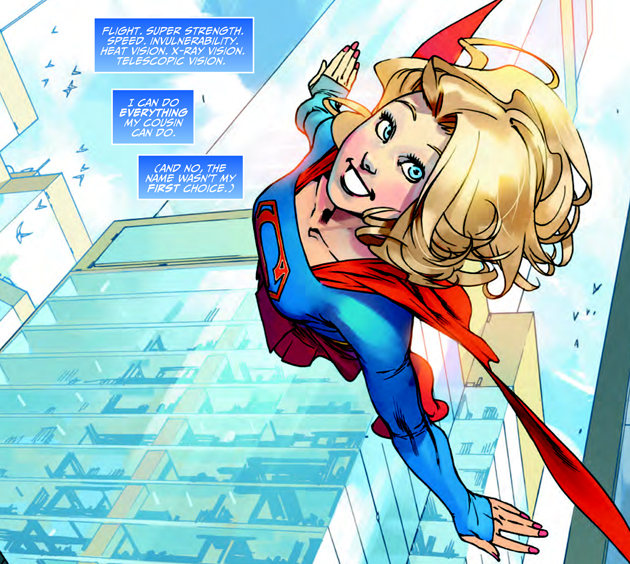 I’ve read that Alex might even end up becoming part of actual comics canon, if the Rebirth creators decide to add her to Supergirl’s world. Since they’ve already brought in the DEO, National City, and Cat Grant to the Rebirth world, it might be possible, but I don’t know. One can only hope, I suppose. I love the way the costume morphs from the show version to the Bombshell version designed for Kara Starikov (although there does seem to be an imminent structural issue about to happen with that bustier). Final Verdict: It’s cute and quick and provided a lovely few hours’ respite from reality. Also, I’m all about supporting this show, so I will happily keep this volume and check out any other volumes that might come along in the future.